The Government has been very badly advised. 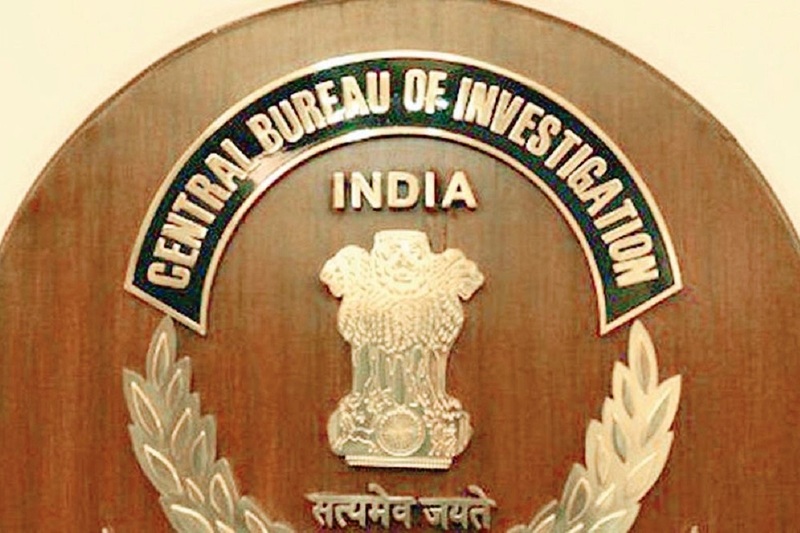 The accused in the CBI case has been posted to a coveted job and the complainant has been reprimanded. This reminds one of the warning sounded by one of the greatest sons of independent India, the immortal Sardar Patel: ‘Don’t tinker with the all-India services. It will damage good governance no end’. The nation has just unveiled with great pride its tallest statue of the immeasurably tall Son of India. Let history not record that it was just an empty gesture. Democracy, at the best of times, is a somewhat fragile concept. It is invariably put in place after a long and bitter struggle with other forms of ‘government’. Monarchs have had to be assassinated, as in the UK, a brutal and bloody civil war had to be fought as in America and common people had to sacrifice themselves on the streets through popular revolution as in France. The poet may have said that the ‘old order changeth, yielding place to new’, but this is only in the poet’s imagination. Political reality is quite different in the sense that there is no example in history that illustrates any ruler has given up power voluntarily. The predecessors of democratic rulers, be they hereditary monarchs, military adventurists, ‘elected’ dictators or conquering heroes have had to be overthrown through the fire and sword. Democracy comes after a long struggle and at a heavy price. We in India have been fortunate that we were ruled by a very civilized people who were themselves long steeped in the democratic tradition. Hence, we inherited the best of instruments that go to fashion the democratic structure ~ an autonomous civil service, a free Press and an independent judiciary. The heritage is precious ~ well-crafted institutions that have made democracy possible in a land that had no tradition of popular governance or the people’s involvement in it. As Dr. Ambedkar, the architect of the Constitution, put it: “(In the political context), India was a bankrupt country”. The common man was a mere subject. Democracy in India is a delicate superstructure imposed by the British from above, and it has taken roots in an alien soil, to the astonishment of all foreign observers who had made dire predictions. All this was possible because the rulers after Independence were men of vision who nurtured institutions that form the foundation of the magnificent superstructure. It is the institutions that sustain democracy, not individuals. Once a people guard their institutions, democracy functions on its own. It needs no other props. The danger inherent in a democracy is that once institutions are tinkered with, democracy proves as durable and strong as a house of cards. It collapses on its own. It does not need any alien force to ‘finish the job’. It is the abiding lesson of Indian history that the State has collapsed more through self-inflicted wounds than foreign invasions. It would not be much of an exaggeration to aver that we are so individualistic, by nature and tradition, that by and large institution building is an alien art, transplanted by Great Britain, the world’s oldest democracy. It is in this context that recent developments in our polity should be a cause for national concern. Perhaps for the first time since Independence, the crucial institution of the Central Bureau of Investigation is being tinkered with. It is the Government’s premier investigation agency which is increasingly being relied upon even by the apex court in exceptional cases of malfeasance. Its head has been given a fixed term under the orders of the Supreme Court, to insulate the agency from political influence and interference. Recent moves by the Government have violated all established norms of good governance and sound administrative principles. One after another, moves have been initiated to subvert the institution from within. A time-tested organizational principle is the ‘unity of command’. It is often overlooked that it is a particularly crucial requirement especially in a police organization manned exclusively by police officers. It functions on the pattern of a uniformed service with rigid hierarchical control, albeit without the uniform. The first norm violated was to have imposed an officer just under the Director, the Additional Director who does not enjoy the trust and the confidence of his immediate superior. To begin with, it should not have been done. Having somewhat brazenly disrupted the ‘unity of command’, the Government entertained complaints from a subordinate officer against his own superior who was the head of the organization. If a government were to do so, it would make the organization stand on its head, both literally and figuratively. Having transferred the head arbitrarily, the Government appointed an interim head whose first action was to order the transfer of a number of subordinate officers overnight. Undeniably, transfers and postings represent the prerogative of the Government but punitive transfers are quite another matter. It not only disrupts the family life of the officers but demotivates them no end. These subordinates were earlier carrying out the orders of their superior who was shunted out overnight, again literally and figuratively. In such situations, the subordinates inevitably get a feeling of ‘damned if you do, damned if you don’t’. The Government, after such disingenuous moves is now threatening to go after the former head for, inter alia, “refusing to join his new posting.” The move is a travesty of the law. The former head was a member of an all-India service, one who retires at the age of 60. After retirement, a police officer is specifically chosen for the post of the head of the CBI for a fixed tenure under the orders of the Supreme Court.. It is not a case of extending the age of retirement of an all-India service officer for continuing to serve under the Executive in any post that it may choose. Hence, to cut short even a fixed tenure is, of course, the right of the Government but it cannot coerce an officer to join in any post after retirement under law. The former head of the agency was correct and acted within the law to refuse to join in any other post that the Government may coerce him into joining. The Government’s reported move to slap a disciplinary case against the head smacks of open vendetta. Such an act is bound to adversely impact the morale of all-India services which are the backbone of the administration. In the public debate over the entire episode, an unhealthy precedent has gone largely unreported. The Additional Director had approached the Cabinet Secretary with a complaint against his superior. The boot was thus squarely on the other leg. He should have been reprimanded instead, for violating the basic norms of administration in bypassing the controlling department, i.e. the Department of Personnel. It is further reported that he had also approached a senior serving IPS officer, who has nothing to do with the dayto- day functioning of the Government. This can only be termed as extra-Constitutional pressure on his superior. In sum, the Government has been very badly advised. The accused has been posted to a coveted job and the complainant has been reprimanded. This reminds one of the warning sounded by one of the greatest sons of independent India, the immortal Sardar Patel: ‘Don’t tinker with the all-India services. It will damage good governance no end’. The nation has just unveiled with great pride its tallest statue of the immeasurably tall Son of India. Let history not record that it was just an empty gesture.